A New Year means new opportunities, and for many that means adding new space. Whether it’s a modular office expansion, a new guard tower, or a mezzanine system to store more inventory, Panel Built has the right solution for your unique space needs. As May comes to a close, Panel Built would like to remind you to take a moment to reflect on all those who sacrificed their lives to protect and serve this great country we call the United States of America. In an election year, such as this, it is easy to find ourselves at odds with friends, family, and coworkers over the current political and economical issues. However, there is one thing we should all be able to agree on: We are blessed to live in the greatest country in the World, and should thank all those who gave their life to preserve the freedoms we enjoy here! 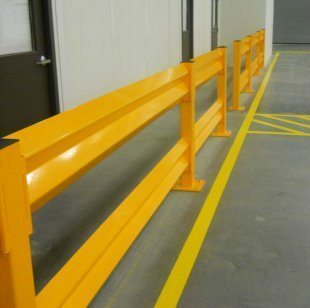 Another new offering from Panel Built is our easy to install integrated sleeve guard rail. With this system, once the posts are installed, the guard rail pieces just slide into the sleeves. Panel Built is also starting the New Year by giving back to our community. 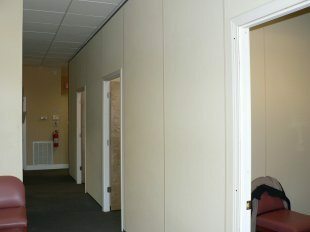 A few weeks before Christmas, Panel Built delivered and installed about 71 linear feet of modular walls to a local clinic that gives free or discounted healthcare to people without insurance. All of the materials and installation time were donated. Other news includes the addition of installation on Panel Built’s GSA Schedule, and an updated Panel Built catalog. What are you doing in the New Year? 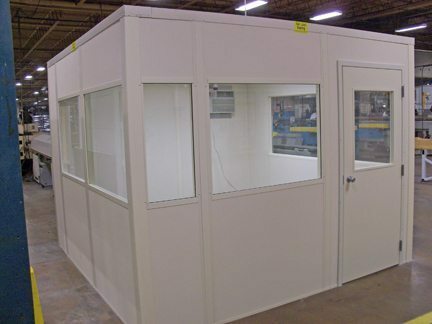 If your business is expanding, give us a call and let Panel Built help you with a custom modular solution for your space needs.